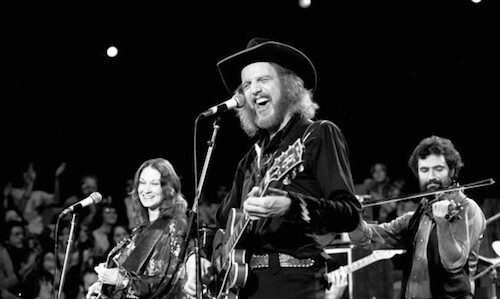 2015 is poised to be another banner year for the band with an epic album release, induction to the Austin City Limits Hall of Fame and their 11th appearance on the Austin City Limits show 40 years after recording the first official episode. Asleep at the Wheel has been playing a lively version of country western swing for the past 45 years and just released another album titled Still the King: Celebrating the Music of Bob Wills and His Texas Playboys. The album is another tribute to “The King of Western Swing” legend Bob Wills, who popularized country western swing in Texas and around the country. 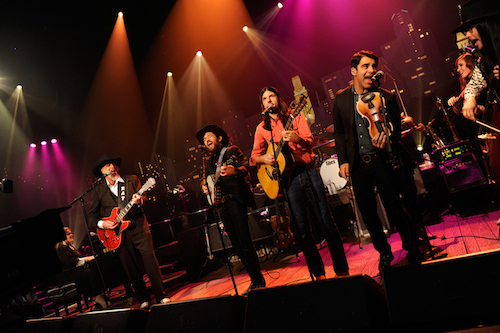 Still the King features a cast of performers from multiple genres including The Avett Brothers, Amos Lee, Brad Paisley, George Strait, Old Crow Medicine Show, Robert Earl Keen and many others. “What excites me about our new album Still The King is that we are turning on new generations to the music of Bob Wills AND Asleep at the Wheel and bringing new versions and interpretations of this great music to fans of Asleep at the Wheel, Bob Wills and western swing,” says Benson of the album, which was released yesterday. 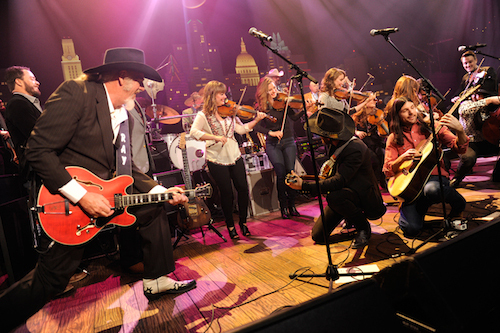 In 2014 to commemorate the 40th season of the Austin City Limits television series, Austin City Limits Hall of Fame was created to honor artists and individuals who have made the TV series a success. Last year’s honorees included Willie Nelson, Stevie Ray Vaughn and Bill Arhos, the show’s original creator. Forty years after recording their first ACL episode, Asleep at the Wheel received a hearty welcome from fans spanning multiple generations. This particular night, they shared the stage with The Avett Brothers, Amos Lee and the Quebe Sisters to play some of the music off their new album. They also played fan favorites like “Miles and Miles of Texas,” “Route 66” and “Big Balls in Cowtown.” The result was an evening with a lively crowd, great music and dancing. Fortunately, you can catch a recording of the show later this year on KLRU and you can have your own dance party at home. If you’re a fan of Asleep at the Wheel, don’t miss them on KLRU later this year and try to snag a ticket to their induction event in June. And if you weren’t familiar with the group before, it’s time to get out your boots and find Asleep at the Wheel on YouTube or iTunes. 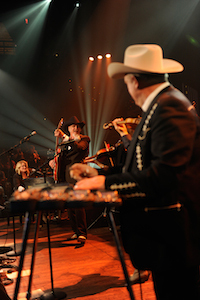 Visit the ACL TV website to learn how you can get tickets to the ACL Hall of Fame event in June and attend other ACL Live tapings. What’s your favorite Asleep at the Wheel song?